How Can GSS Help Make Your Business Safer and More organized? GSS Security provides Consulting Services to a diverse group of businesses throughout Canada. The company's expertise and depth of experience allows for a unique approach to each assignment. A combined 100 years of experience in the industry brings GSS Security Consultants into the forefront of this Canadian Industry. GSS can review your physical security plan or we can prepare a plan if you currently do not have one. Knowing your weaknesses is critical information you should have to plan for all threats to your business, now and in the future. Do you have in-house security staff or do you have staff that are responsible for your business security? GSS can help with the set-up and narrate all the policies and procedures to ensure they are well prepared. Is your business a unionized environment? If it is, the likelihood of a potential disruption to your business is real! Talk to GSS and we can help with the advanced planning for such a overwhelming event. Are you in a business environment that relies heavily on compliance and a reporting structure? GSS will help you with the preparation of all processes to make those audits effortless. Having an issue with your security manpower and trying to figure out if you have enough, too little or are way over budget with hours and resources. A third party impartial look is always always very valuable process to complete. Not sure what you need when it comes to security equipment, access control, CCTV cameras, perimeter defense, bio-metrics and so on? GSS can sit down with your team and provide valuable industry experience to aid in your sourcing of new or upgraded requirements. A TRA is a very valuable document that will add value and useful information so your business will survive during an attack from the outside. Just like your IT disaster plan, your physical security plan is just as important to your success. 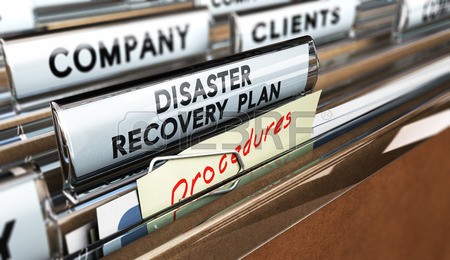 What do you do in the event of a disaster, emergency or a debilitating crisis that effects your business? We have the experience to write a document that outlines and gives you the step by step processes to survive and then thrive.